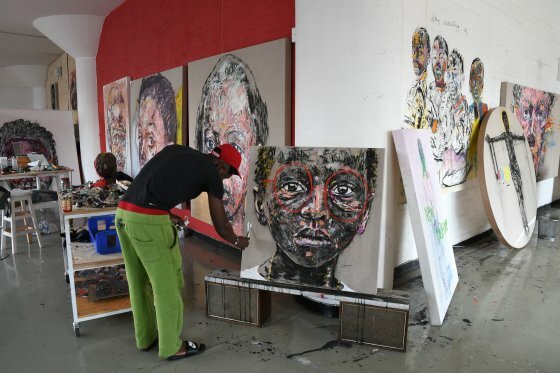 What a thrill to visit the studio of one of my favorite artists, @NelsonMakamo. An honor, in fact. I can’t wait to welcome this dignified lady into my home. Thank you for introducing me to her, Nelson. And for your gorgeous vision of us. Your work makes me think of our joy and our grace, our triumph and our future. Matsela Moshokoa for TIMENelson Makamo works in his studio in Johannesburg.